Today I have a manicure post for you. Why so strange name? 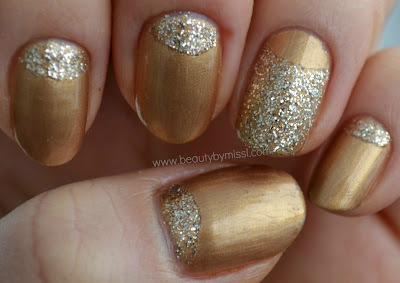 Because I used two different nail polishes for this design and both of their name is Gold Digger. Very original! Really like the idea! !